There are many garage opener manufactures in Westchester County New York, you can find Lift Master garage opener, Genie garage opener and more. And when you are thinking about installing a new garage opener in your house, or in your business in Westchester County (If it is a commercial overhead door), you are probably wondering which garage opener in Westchester County will be the best garage opener for you. We are to help you make the right decision, and to choose the best garage opener for you, in terms of strength, noise level, how easy it is to operate, and how often you will need to service it. Like we said there are many different garage door opener brands in Westchester New York. Some believe that this particular brand offer the best garage opener in Westchester New York, and some believe that another brand offer the best operator in the county. We can say that after many years in the garage door field, and after installing thousands of garage openers in Westchester County, we chose the openers from Lift Master to be our preferred garage opener brand, and we will always recommend it as a new garage door opener. They offer high quality garage openers, that can last 25 years and more, and they are relatively easy to operate and maintain, and we are often seeing in Westchester County garage openers which are even older than that. As we said, Lift Master opener, whether it is a chain drive opener, or a belt drive opener is our first choice when it comes to new garage door opener installation in Westchester County NY. Whether you need a new garage opener installation in New Rochelle, or a new garage opener installation in Scarsdale, we will always recommend you to go with Lift Master. Because when we install a new Lift Master opener, we know that we made one more of our customers in Westchester County satisfied, and this customer is most likely to recommend about J&C Garage Doors to people, since he know we just installed for him the best garage opener money can buy. If you would like to learn more about the Lift Master garage opener, you can visit this page, or visit the Lift Master website. Whether you live in Westchester County and looking for a new garage opener installation, or even if you look for a garage opener installer in Staten Island, there is one important thing you should never forget: No garage door repair or installation, in Westchester County or someplace else worth your health, and for sure doesn’t worth you will get hurt. When you plan to do a repair and do it by yourself, you should never take risks, and remember that there is always a solution, and you can always use the services of a garage door repairman in Westchester County. Before we will start explaining about the new garage opener installation, we would like to make it clear that if you prefer to do the new opener installation by yourself, and not using the services of a professional garage door expert in Westchester County, because you want to save money, we suggest you will stop now. Each one of our garage customers in Westchester New York that we asked, told us that it just doesn’t worth the money. The time, the frustration, and the possible risk of installing a new garage opener by DIY, just doesn’t worth the money they saved. Especially if at the end they did call a garage door technician in Westchester County to do the installation for them. Can every garage door in Westchester County be motorized? Is there power in the garage? Many people tend to forget the basic thing that a new garage opener in Westchester County need electricity in order to work. 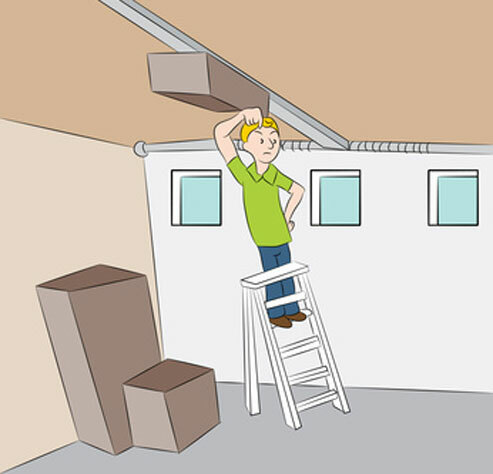 If there is no electricity in your garage, you need to call an electrician in Westchester County New York to connect your garage to the electricity before installing the new opener. Is there enough room above the garage door for the new motor? Some garages in Westchester New York have low headroom, and installing a new opener may be impossible in those cases. In many cases there are many things that can be done to solve the problem, and for that you will need a garage door technician in Westchester County to come and check the door. J&C Garage Doors offer different solutions and new garage opener installation in Westchester County New York. We have successfully installed many garage openers in Westchester County, and each one of our customers in Westchester New York will tell you that we did a great job. You can visit our Yelp page, and read what our customers think about our garage door service in Westchester County New York. Or you can visit our Google page and read more reviews. What type of garage opener is the best in Westchester NY? The type of opener you need is not into which one is the best type is, but which type of opener is the best for you! The most popular garage openers you will find in Westchester County are the belt drive opener and the chain drive opener. They are both considered strong and reliable, and they are our best sellers in Westchester County NY. The difference between them is the operating system. The chain drive opener operate with a steel chain, and it is louder than the belt opener which work with a rubber belt. The difference between them is that the belt is quitter (Due to the elimination of the noise that the steel chain create) but at the same time more expensive. But if you consider the fact that a new Lift Master Belt Drive opener can last for more than 20 years, it definitely worth the investment. 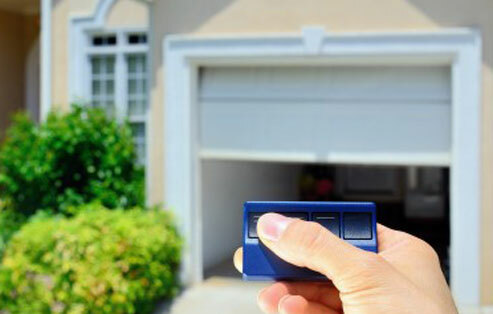 If you would like to read more, check out our article about different garage opener types in Westchester County New York. Can I install a new garage opener by DIY? If it is not a commercial garage door in Westchester County, and if you are just replacing an existing garage opener, there is no reason why you will not be able to install a new garage opener in Westchester County by doing so yourself. But you must remember that even a simple garage opener installation can turn into a complicated process, which can take more hours than you planned, but more important can be dangerous. It doesn’t matter if it is a new garage door opener installation in Yonkers New York, or a new garage opener in Alexandria VA, you should never guess or take risks. There are local garage door companies in Westchester County that offer same day service, and can install a new garage opener for you today. If you decided to go ahead and install the new garage opener by yourself, you can find many garage door tutorials that explain about garage door in Westchester County, and that will help you during the installation process. For example, you can use this Video that explain how to install a new Lift master opener. But always remember, there are different garages in Westchester NY, and the new garage opener installation can be different from one garage to another. Always use common sense, and avoid unnecessary risks. And for any question contact us or visit this garage door repair community and find help from garage door pros. Should I install safety sensors as well? The answer to that question is very simple: YES! It is not up to you or to us. And it doesn’t matter if you own an overhead door in Westchester County or a garage door in Williamsburg New York. 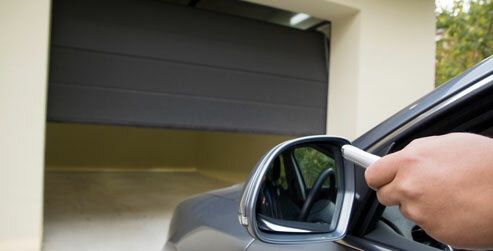 By the federal law, every automated garage door need to include a safety feature. You may find it unnecessary, and you may think you will be fine without the safety sensors, but when it comes to garage door safety, there is no room for questions. That one time when your garage door safety sensors will protect you, your son, your car, you pet or anything else from getting hurt by the closing door is enough that every overhead door in Westchester County will include safety sensors. So if you are using a garage opener installer in Westchester County, or if you are installing the new opener y yourself, make sure that the safety sensors are installed properly, and remember that they are there for your safety. If you want to read more, visit our page about garage door safety sensors in Westchester County NY. What accessories do I need for a new opener in Westchester County? Our new garage opener installation in Westchester County include 1 or two remote controls, a key-pad, a wall switch, and of course safety sensors which are wired to the garage opener. But the options are limitless, and you can choose to add remotes, include battery backup and more. We lately installed a new garage opener in White Plains New York and the owner asked for 10 remotes. Everything can be done, you just need to ask. But again, we will repeat what we said before, everything is optional expect one thing: The new garage opener in Westchester County must include safety sensors. This is not up to us or to you, and it is better that way. There is one thing that we will never settle for, and that is the safe use of a garage door in Westchester County NY..
Should I fix my opener or install a new opener? When was the opener installed? What is wrong with the opener? Does you opener include safety sensors? How often do you use the opener? How often do you use the garage? As you can see, there are many things to consider when making a decision, but the important thing to check when you are planning to install a new opener in Westchester County is: Is the door operate perfectly when it is being used manually? If not, the problem must be fixed enforce installing the new opener. Do not expect the garage opener to “ignore” the problems. The door may work for a while, but if the door itself isn’t working properly, it is only a matter of time before the opener will stop working, and beside new opener, you will have to contact a garage door repairer in Westchester County to come and fix the door for you. We at J&C Garage Doors do things the right way. We will not ignore something if we see it (And after years of servicing garages in Westchester County, we cannot miss anything). We will never do a job which isn’t complete or ignore safety issues. For example, if your garage door opener is too old, and it doesn’t include safety sensors, we will not be able to repair it, and we will recommend you to replace it, or we will pass the job. We have a strong reputation as a trustable garage doors company in Westchester County, and we will do all it takes to maintain that reputation. Whether you need a garage door repair in Yorktown New York, or a garage door repair in the Bronx, we can help you today.